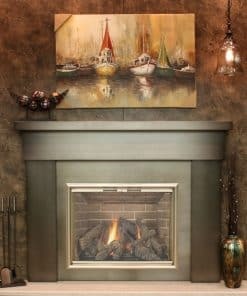 Prices based on size and finishing details. 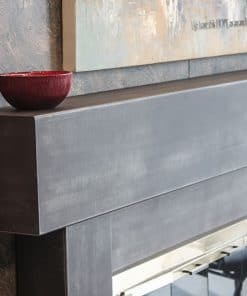 Call or email for a price quote. Price shown is base price for 24″ shelf with no banding or rivets in a standard colour. The Stoll metal mantel shelf is made to order in the USA of heavy guage steel. 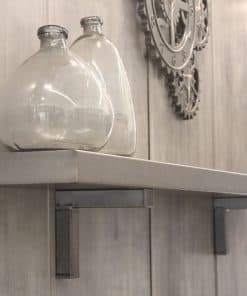 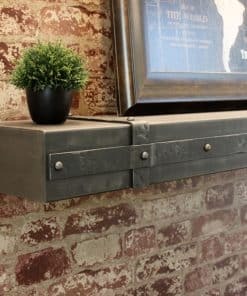 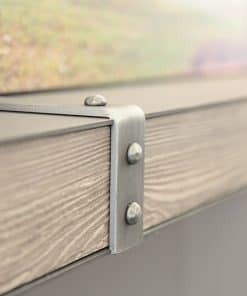 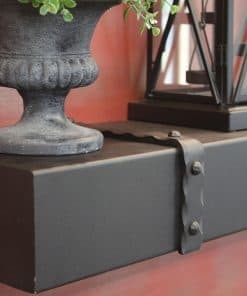 Customize your Stoll metal mantel shelf with one of over 20 finishes, plus decorative details like banding and rivets. 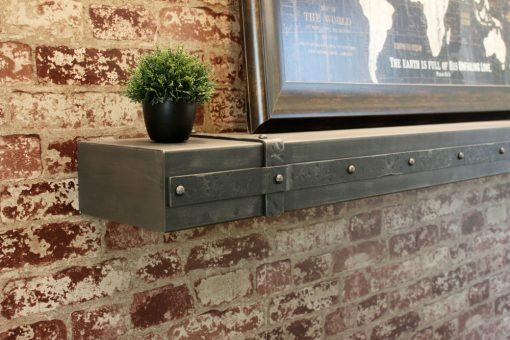 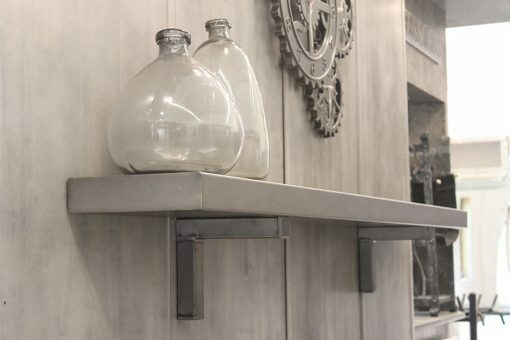 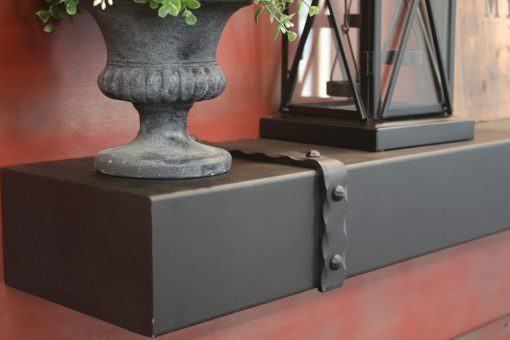 The Stoll metal mantel shelf is easy to install and is available in lengths up to 84″.